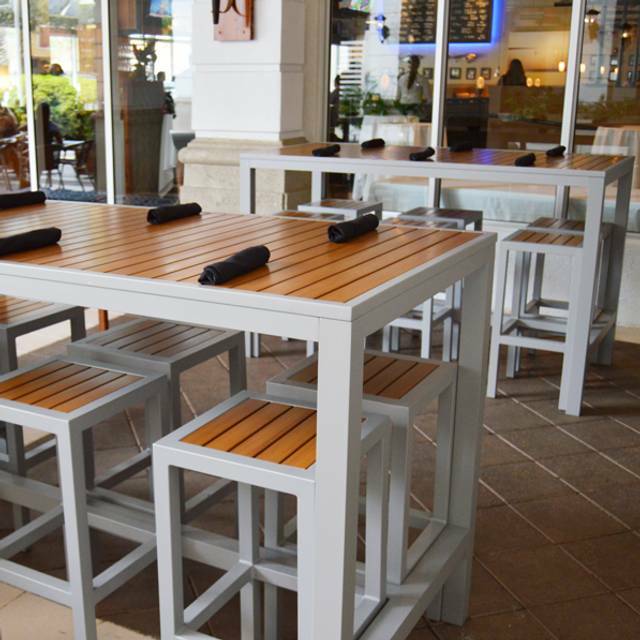 Tarpon Bend features a modern interior for an upscale dining experience. 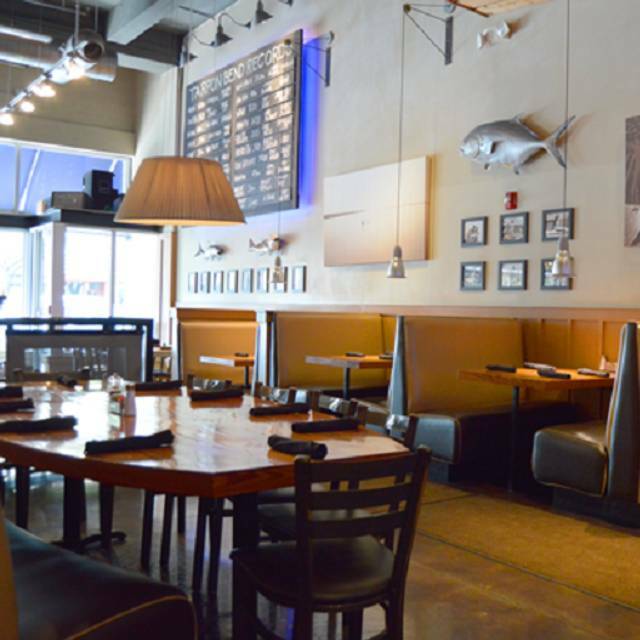 The feeling inside Tarpon touches on an ocean motif and engenders an open-air feel, with the dining room opening up to the café seating area on the sidewalk. 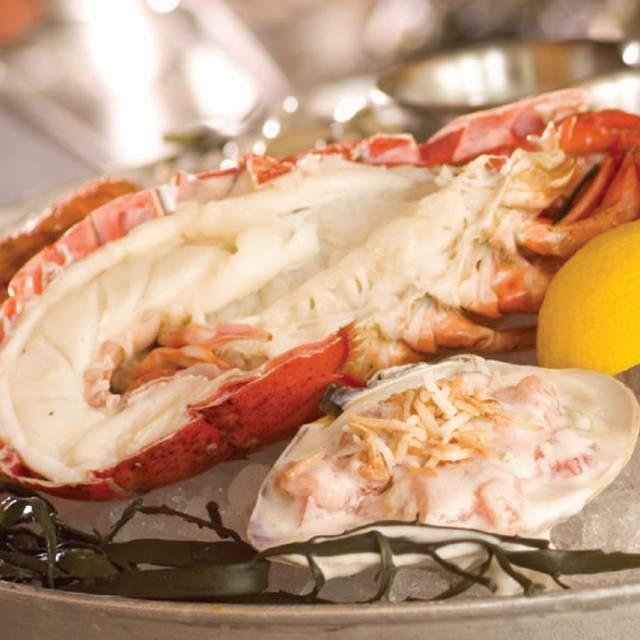 Tarpon features day-boat fresh fish specials and top quality meats from local sources. Everything on the menu from entrees and salads, dipping sauces for appetizers to the desserts is made in-house from scratch daily. We can do a buffet, pass arounds, sit-down wine dinner or cocktail party. Bring us your list of foods and we can prepare them as you like, or ask for our catering packages. There are meter parking spaces on Miracle mile and side streets. There is a garage above the restaurant - enter on Galiano Street, park then take the elevator to the first floor... you'll be on the patio by Tarpon. Host your next event at Tarpon Bend and see what all the buzz is about! 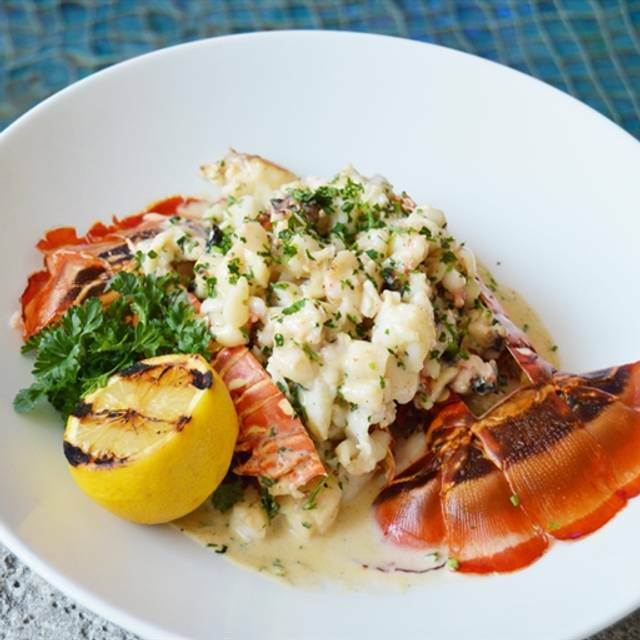 Tarpon Bend has quickly become the number one destination in Coral Gables for those who want to enjoy top quality food and service in a laid back atmosphere. 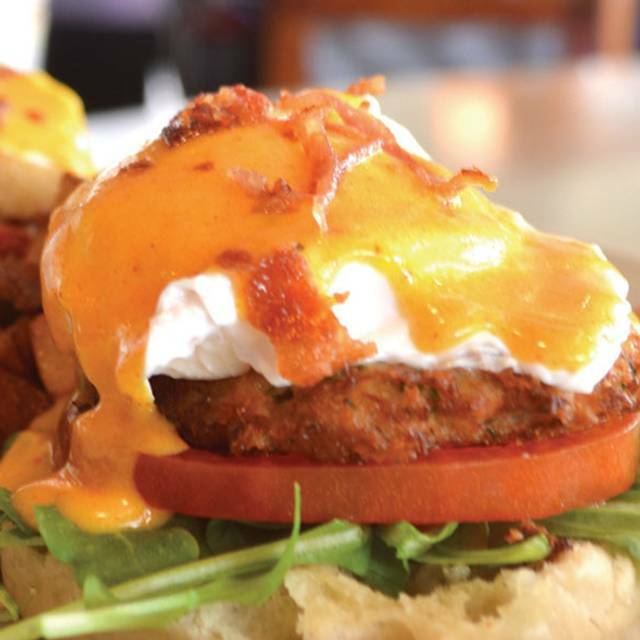 Located on Miracle Mile in the heart of Coral Gables, Tarpon Bend is a standout restaurant for service with a smile. Whether hosting a corporate happy hour party or celebrating a birthday party, let our expert party planners take the hassle out of planning your next event. We take pride in making each event unique and unforgettable. 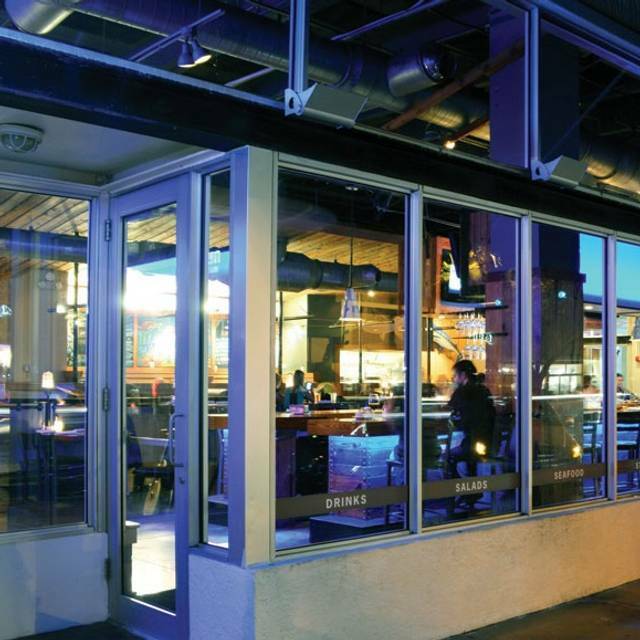 Choose from our outdoor patio area or enjoy the lively atmosphere inside. Our staff can also advise you about our party menus. We really enjoyed Tarpon Bend. 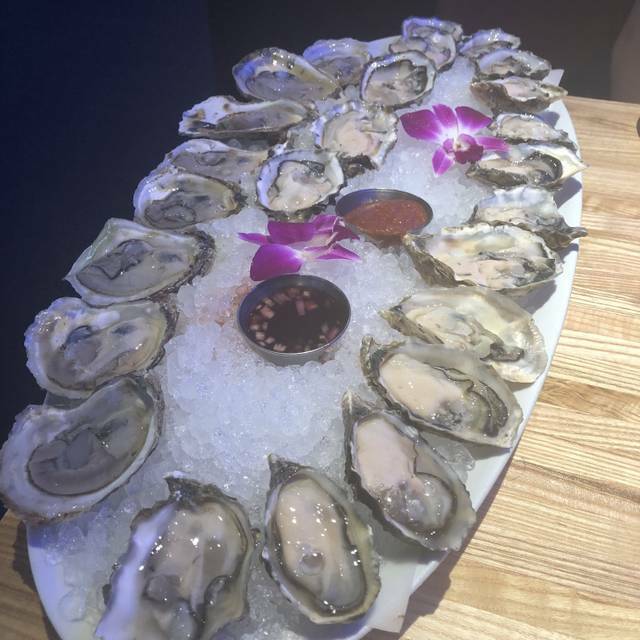 The food was great and the service was excellent! Way too loud in evening for business meeting. Great, friendly, knowledgeable, passionate Staff Team. Numerous Members took great care of us. What a pleasant surprise! Highly recommend - save room for dessert! Great meal and service. Love newly decorated restaurant. Wonderful dinner with great jazz music makes for a relaxing and enjoyable evening. First time our family has been there in years and since the remodel. It was fabulous in every way. Food is delicious and portions are vey big. Servers very attentive and nice. Would give six stars but not allowed. 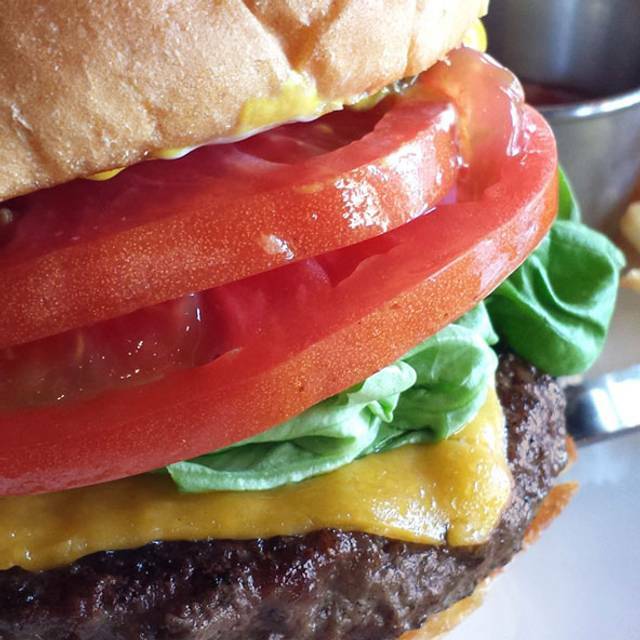 Happy hour lasts forever so get BOGO! 1st time here. Had a great meal with the family. We had the Shrimp and Grits, Salmon, dolphin reuben, and the Fried Chicken w/ mashed potatoes and truffle Mac and cheese. Everything was delicious with great service. The band was so loud it was hard to hear anyone at our table. I went for the Stone Crab Special and I was not disappointed. They were fresh and delicious. The service was great. I love how the redesigned the interior space of the restaurant. They made our anniversary dinner special...right when we arrived they served us a delicious sushi on the house. Limited menu. That said we had several items, all of which were excellent. They had an unbearably loud very mediocre cover band playing in the restaurant Saturday night. Fortunately we were seated outside. We hd a lovely evening out. It was a three-generation outing revisiting Coral Gables after many years away. If you are a first time visitor, let them know. They have a wonderful surprise for you. I wont spoil it. Our server, Ariana, was on point. We had no want for anything. Whenever we thought of something to to ask, she was right there. Her recommendations were amazing. Love this place. Will be back. Valet park, its so easy. New decor, comfortable seating, but the portions seemed smaller. 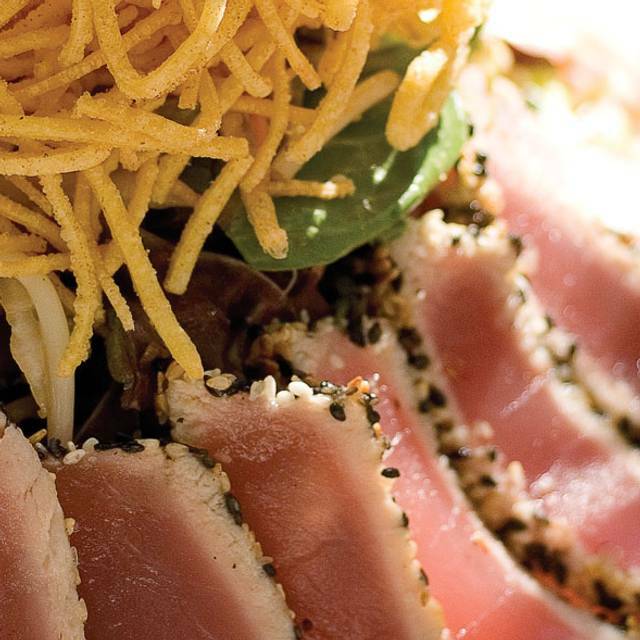 Especially the seared tuna salad. It was my first time and I had come with my mom for her birthday. Everything was amazing from the food to the drinks. Our server, Ariana, she was so sweet and attentive made the experience even better. Great place to enjoy a lovely dinner. Fresh food prepared well. Menu has good variety and the staff was attentive and friendly. Came here on a quieter Monday night with family —they have great happy hour until 9 and their cocktail menu is fabulous!! Service and ambiance is good and the seafood was super fresh :) my Thursday spot too! The food was great. Our server was very knowledgable. The happy hour on a Saturday was really nice! The music inside was so loud that we asked to sit outside even though we preferred inside. Great menu options. The seafood is always fresh. I had a seared tuna salad and my husband had grilled fish. Both dishes were great. We each had a cocktail - mine was terrific! Food was excellent, but bar area was very crowded and extremely noisy. Would return, but at different time. Our waitress was amazing. She was attentive but did not houver. The service was good and the food and happy hour too. It is a good place to meet friends. Disappointed. After a nice appetizer, it was all downhill. Entrees were very slow coming out from the kitchen and my cod was cold. Sent it back, came back fine but never saw our waiter again until we had to ask for him. This place is way too loud, hard surfaces etc. With so many other good options in CG, don’t go here. The service was quick and friendly, the food was delicious, everything perfectly cooked! We loved the Miracle Mile Mojitos!! It was very rewarding dining outside. Our server, Mike, was incredibly knowledgeable and attentive. It was nice. Flan wasn’t great turns out they used too much rose water to make it but they replaced it. Waitress was friendly and knowledgeable. Good time with good friends. Was very surprised it was so quiet on Easter Sunday. But nonetheless we had a good time. Service was quick. I had the benny from the brunch menu and a rosè. Excellent food but very poor service. The waiter who took the order didn’t serve the food and we had to get up and find a waiter to bring catsup and other condiments. It was a slow night and there were more waiters than customers but they still ignored us. Vary poorly managed restaurant. I assume all the talent was in the kitchen because they certainly were not on the floor. Tarpon Bend never disappoints! Great place for happy hour any day of the week. The appetizers and entree were really good. Desserts were a huge disappointment after such wonderful fare, they need to up the ante on the desserts the white brownie was like store bought even though the waiter stated everything was made on site, they need a WOW option, the apple cupcakes were a huge let down.